To support the continued growth of Biomapas, the company has appointed a Director of Human Resources, Monika Lakytė. With 6 offices currently (Lithuania, Switzerland, Sweden, Russia, Georgia and Ukraine), Biomapas will further expand its international team this year as it progresses its 3 business lines: Full Clinical Trial Services; Regulatory Solutions; and Pharmacovigilance (full service and functional service provision). “We are excited to have Monika as a member of our management team. She shares our values and our focus on future goals, her professional experience in recruitment process and personnel management will endorse our continued growth. People as Monika is the result of highest quality standards in our work,” said Juozas Buitkus, Biomapas COO. HR will play an important role in placing control over the growth ensuring any new appointments are high caliber and have structured on-boarding programs. It will also ensure all existing staff remain motivated, well trained with clearly defined performance plans. Biomapas’ staff attrition rate remains one of the lowest in the sector. 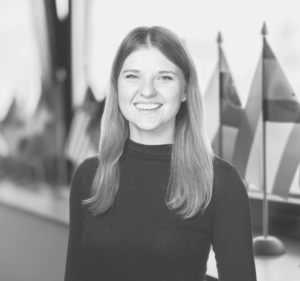 Ms Lakytė graduated ISM University of Management and Economics with a specialty in International Business and Communication. She brings experience from both the public and private sectors. Prior to joining Biomapas, Monika worked in a professional services company. She is well-versed in public speaking and has organized many international learning events for large audiences.